Description: This centrally located townhome is perfect for someone who needs to be near it all. 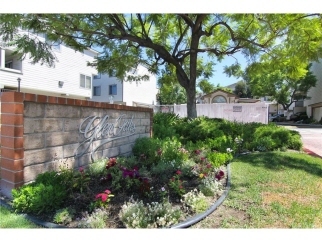 Convenient to freeways, home improvement stores, transportation and shopping, the location is hard to beat. The development is guard gated, well maintained and has several swimming pools. The unit itself has been well maintained and is ready for its new owner. Amenities include; stainless steel stove, built-in stainless microwave, central air and heat, direct access two car garage, tile floors in the living room and kitchen, wood laminate on the stairs and each bedroom. Additional features include a true master bedroom with a full bathroom (tub & shower combination), high ceilings and contemporary bathroom counter tops and sink. There are also smooth ceilings and ceiling fans. The unit is in a great location within the development so don't delay, this unit will not last! Call for a private tour or to schedule an appointment.